This is it!!! 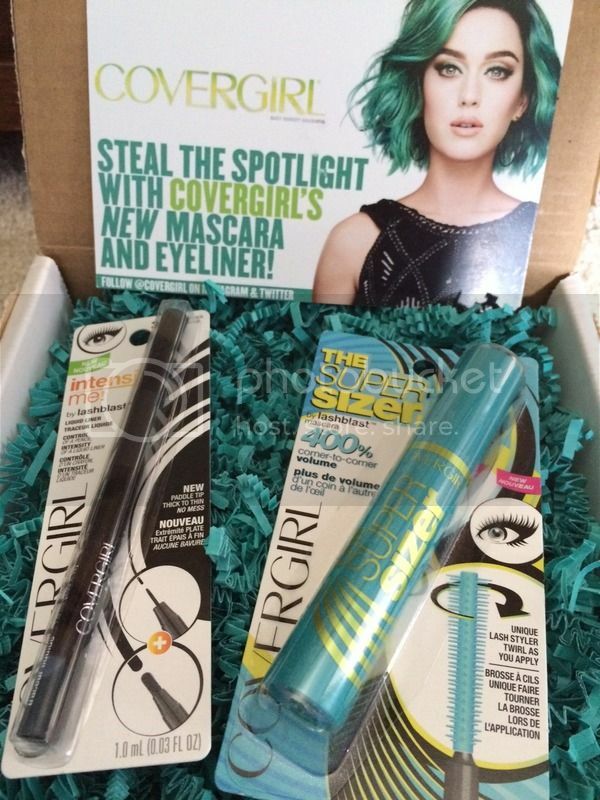 I finally received the free super sizer mascara and intensify me liquid liner from Cover girl in the mail today and I was truly thrilled to wear them. I have been using mascara whenever I go out as well as a liquid liner to help emphasize the size of my eyes. I adore the unique lash styler twirl of the mascara as it would reach even the small eyelashes I have. It covers and makes my eyelashes look thicker, it seems like it helps to add volume on my thin eyelashes simply I wanted for my mascara. I don't notice any clogs and to see that it's a very black color that matches my natural color. For the liquid liner, oh, I'm loving it more and more. Simple to use and to apply on my eyes whenever I want it to be thick and remarkable or slim and classy. Easy to use and to remove with only soap and water. Dry's up quickly too, just the way I want it. I'm thankful for this awesome product to review, which I received for free in the mail. I can't wait to test more and see what benefits it can offer to me as well as to share it with you. I normally just use a liner and a lipstick so this is really interesting! I like Covergirl and giving their liquid liner a try would be nice.